Reports this weekend suggest that the Sony PS4 could go on sale two weeks before the Xbox One console this November. German and Dutch retail outlet Media Markt has put up posters advertising the PS4 release date as Wednesday November 13, while Dutch site Bol.com is also advertising the same on-sale date. Meanwhile, the Amazon pre-order page for the Xbox One now states "this item will be released on November 27." Neither company has officially acknowledged a release date for their consoles. Microsoft has promised a November timeframe, while Sony hasn't expanded beyond it's "Holiday 2013" window. Another score for the PS4? The purported two-week head start would be would be yet another advantage for Sony's next-gen console. 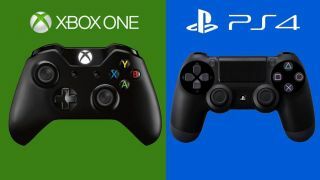 The PS4 (UK£349, US$399, AUD$549) comes in much cheaper than the Xbox One (UK£429, USD$499, AUD$599) and being able to get it sooner would likely sway more fans in that direction. Naturally, it's still up to the companies to confirm their plans, which could easily change between now and November.